Summer is right around the corner, and with it comes a slew of bbq’s, beach time, and time spent outdoors. 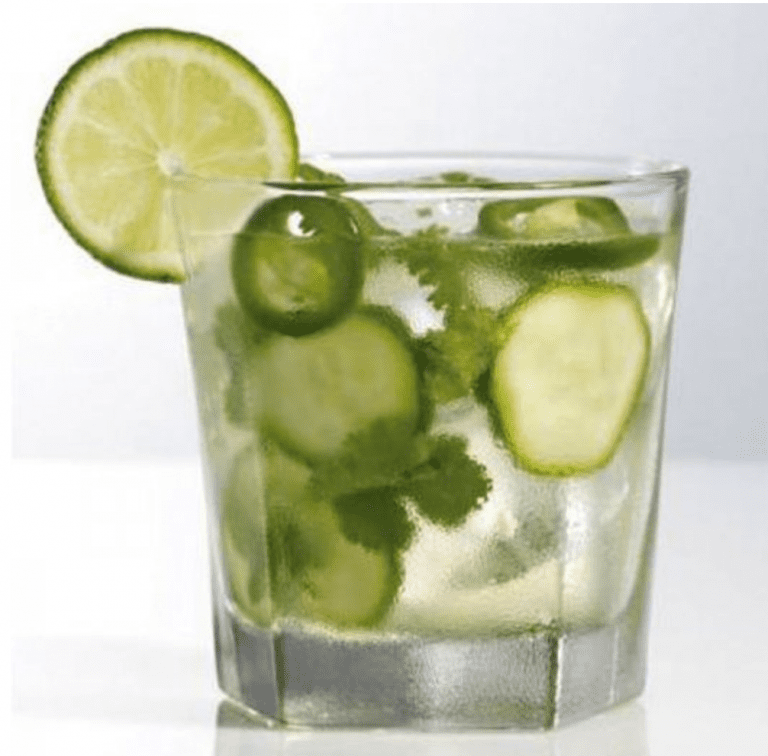 If you’re looking for healthy adult beverages that’ll leave you and your guests feeling refreshed, look no further than these three delicious summer drinks! This fresh twist on the Mexican specialty takes advantage of healthy ingredients—including cucumber, cilantro, and spicy jalapeno—that are plentiful at your local farmers market this time of year. This drink combines two classic symbols of summer: a sizzling grill and an ice-cold glass of lemonade. Dip cut side of lemons in sugar. Set aside on a tray to be grilled. Combine 1/2 cup sugar, water, and honey in a saucepan or disposable aluminum tray. Add rosemary and heat grill to medium-high heat. (For additional rosemary flavor, throw a handful of rosemary sprigs on the hot coals just prior to grilling.) Grill lemons cut-side down until nice grill marks appear, about 5 to 7 minutes. Remove from grill and set aside to cool. 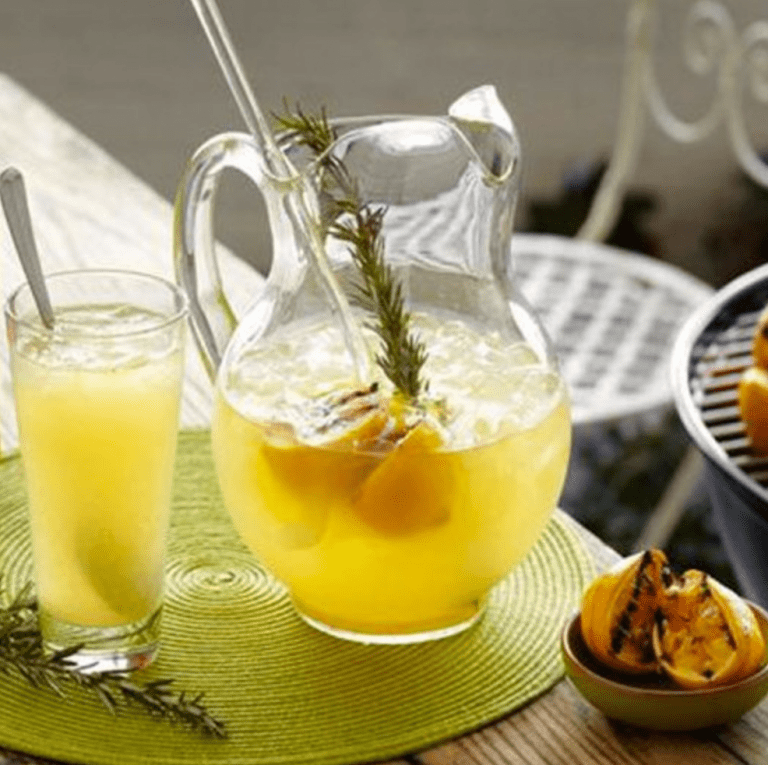 While grilling lemons, place saucepan with honey syrup on the grill. Heat syrup until sugar and honey are fully dissolved and desired amount of rosemary flavor has been infused into the syrup. When lemons are cool, squeeze juice into a pitcher. Add syrup and water to taste, bourbon, and ice. Stir well and serve. This exotic-tasting drink will make you feel like you’ve been instantly transported to a tropical paradise. Place first three ingredients to a stem-less wine glass over ice. 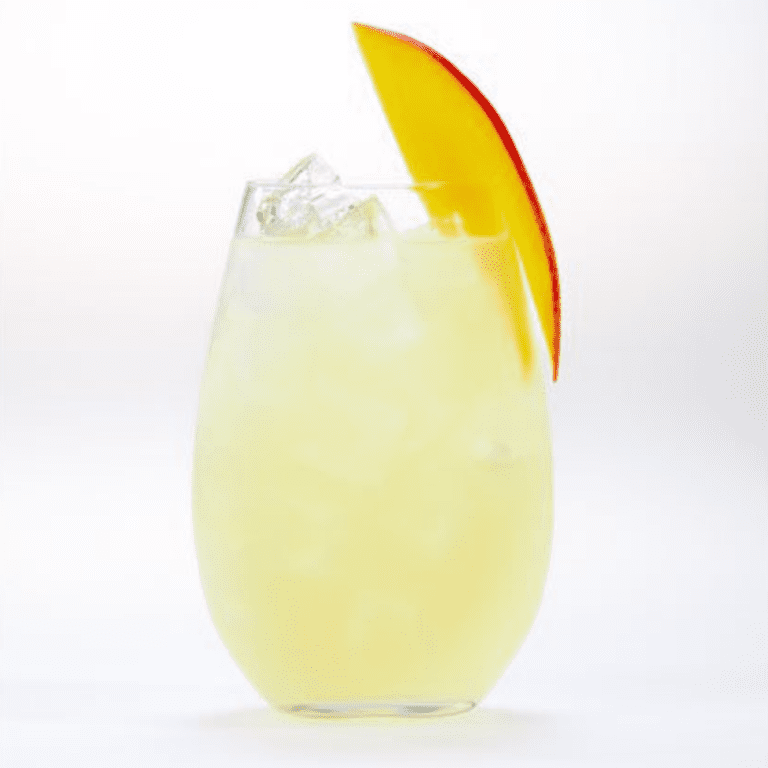 Garnish with mango wedge or lime wheel.